Beautiful Ivory Background, Large Scale, Allover Design Antique Persian Ziegler Sultanabad Rug 49322, Country of Origin / Rug Type: Persian Rug, Circa Date: 1880 – Large scale repeated forms define the landscape of this breathtaking antique Ziegler Sultanabad rug, implying movement through their presentation, despite the use of fewer details and colors. Though the color palette is relatively limited, less is more. 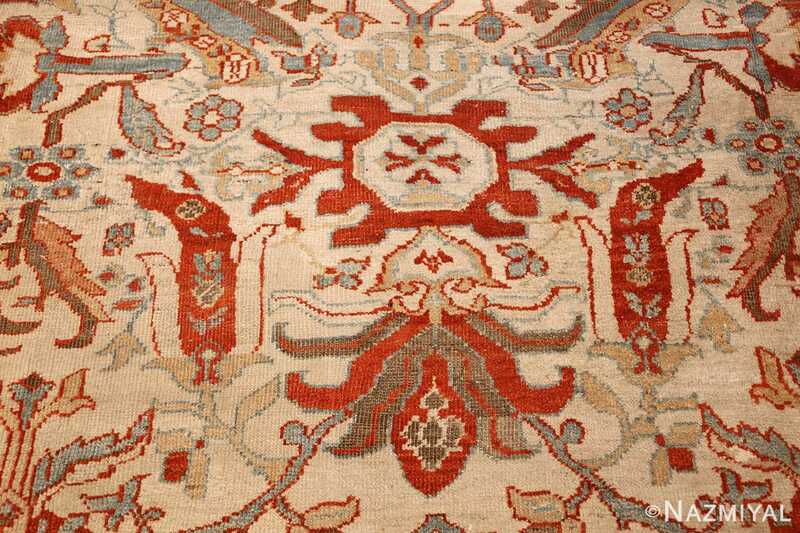 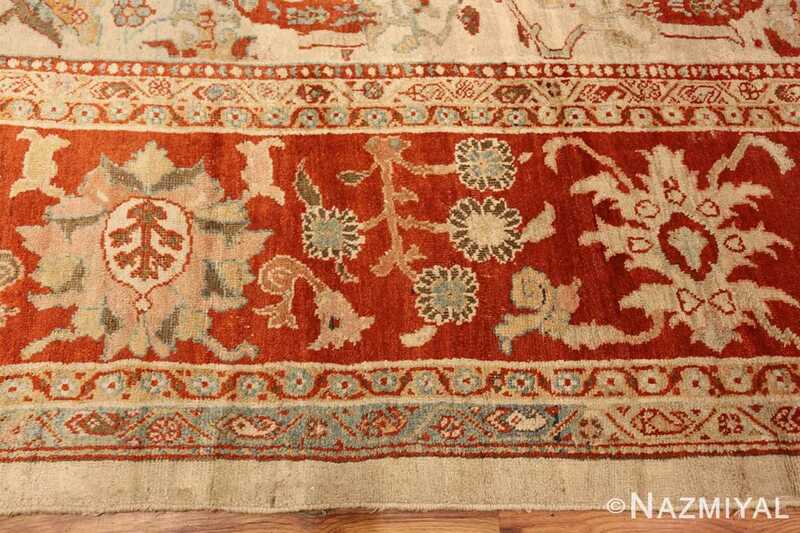 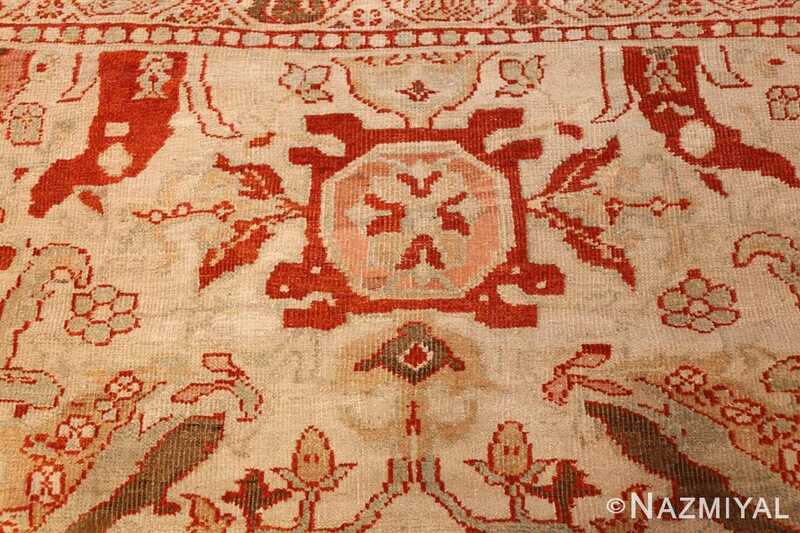 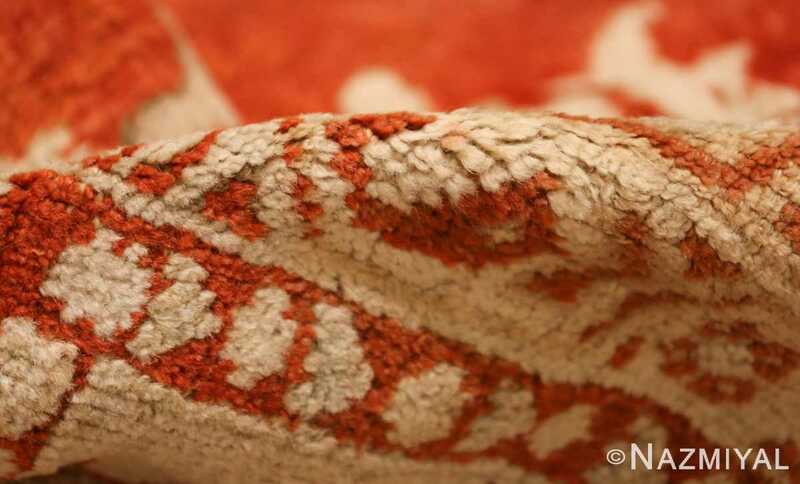 In its presentation, the antique Persian rug features straightforward arrangement of all of the elements which makes it easy for viewers to focus on different sections of the large size rug as they desire. 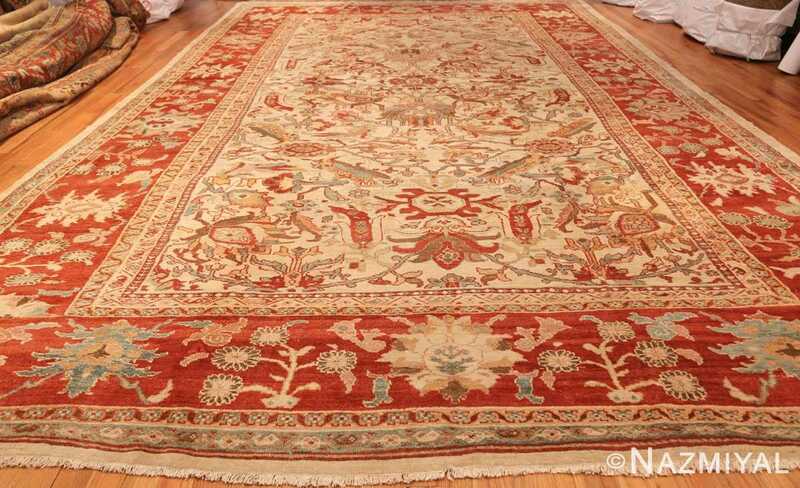 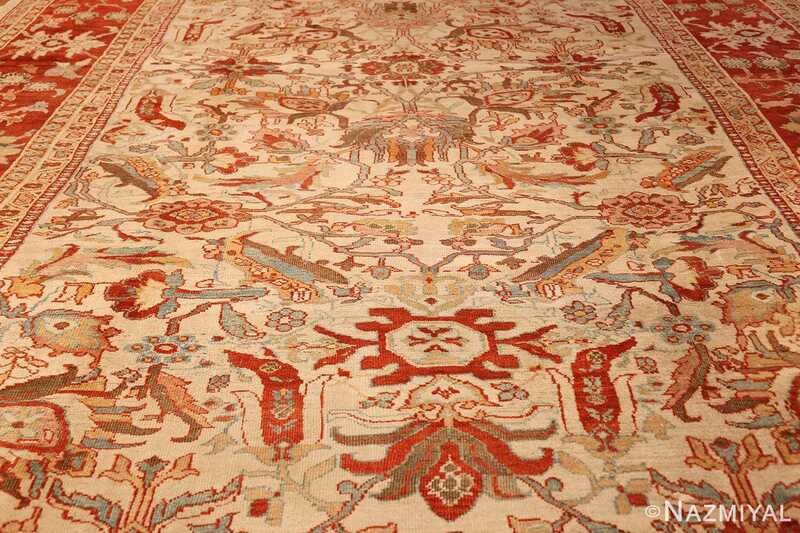 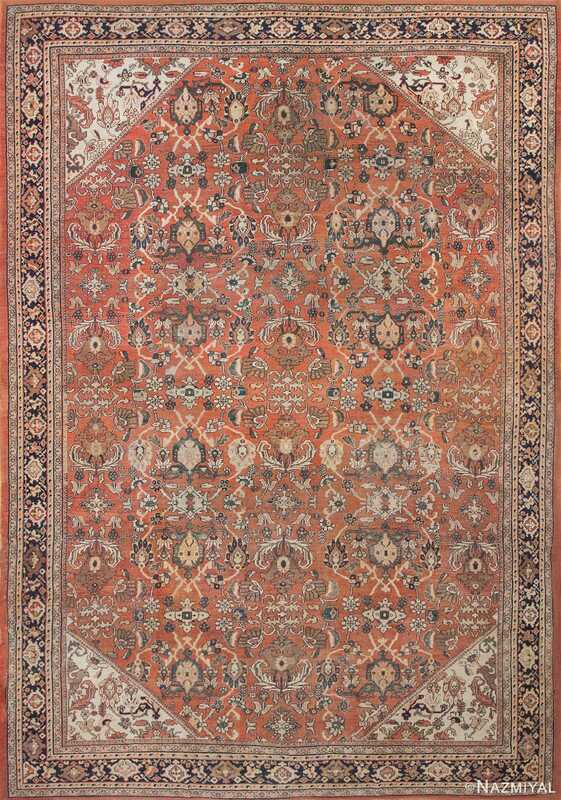 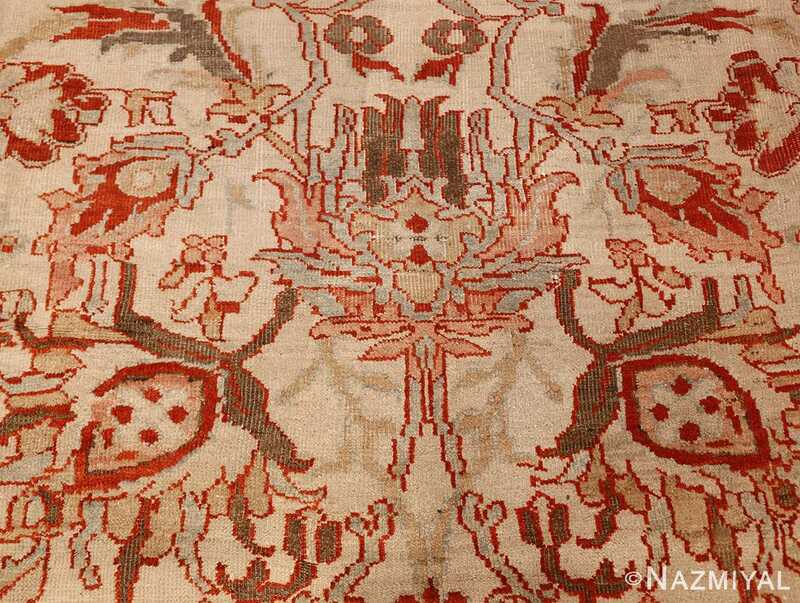 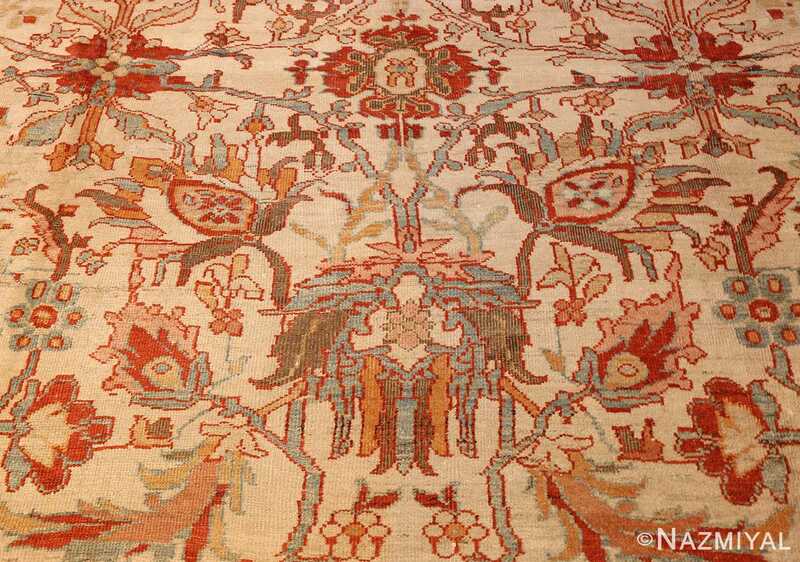 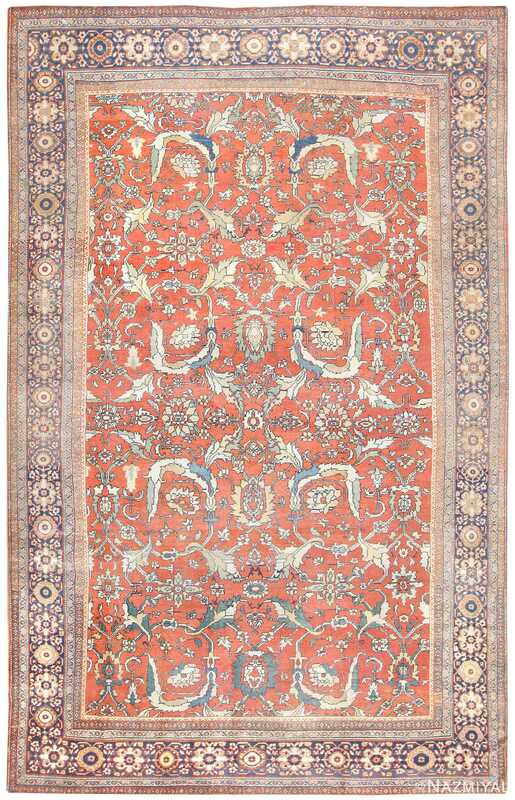 The warm and vibrant color motifs used throughout result in an inviting appearance, one that encourages the viewer to explore the borders as they connect to the elements at the center of the magnificent antique carpet. 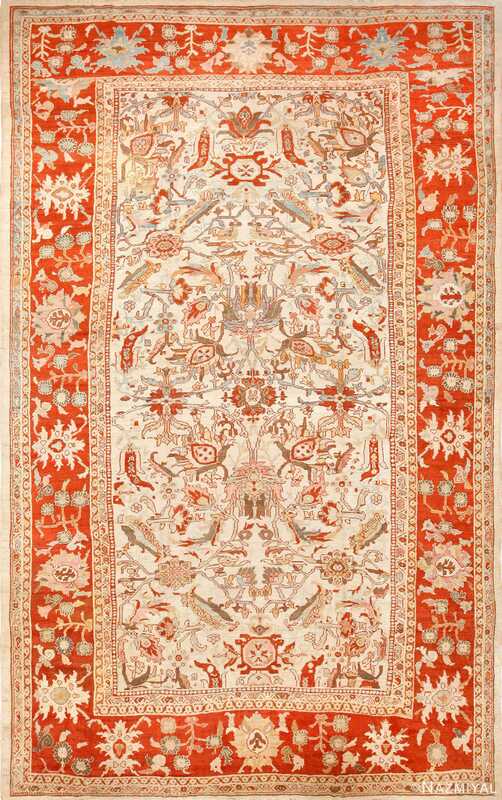 Because of the length of the central field, the viewer is encouraged to begin their exploration at the top of the antique Persian Sultanabad rug, observing the symmetrical elements as they cascade down. 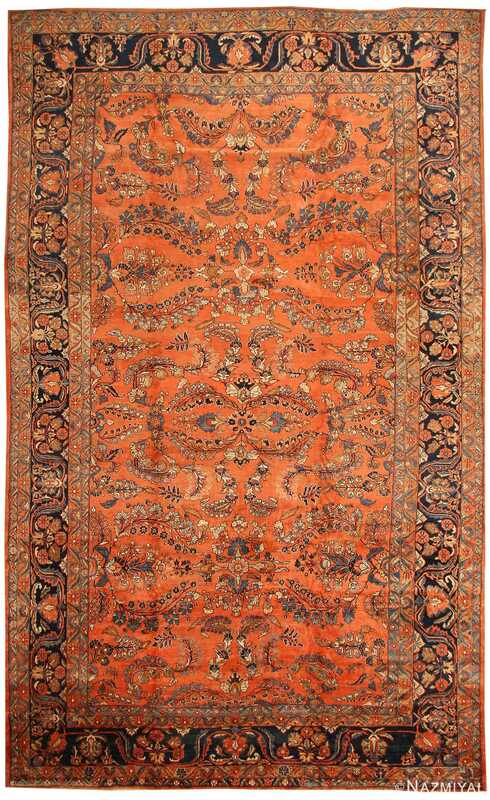 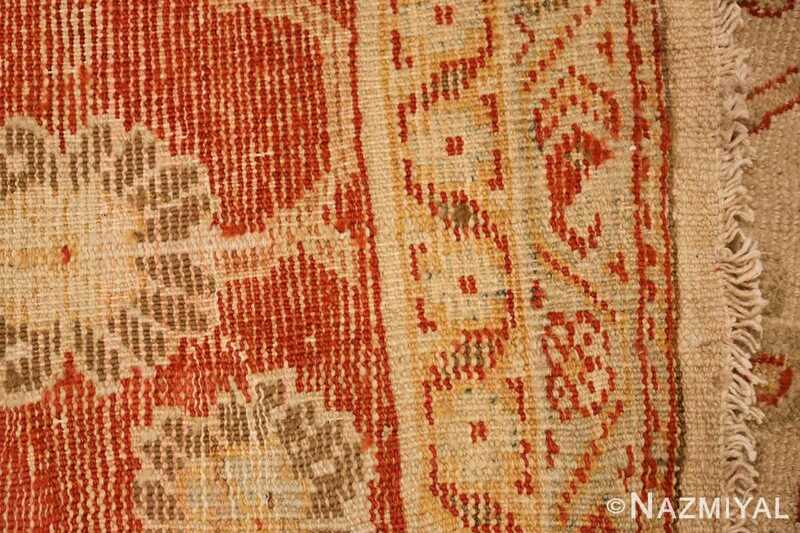 Sinous sprays of fine flowered vines reminiscent of Sarouk carpets sway gracefully across the warm terracotta ground of this unusually graceful Sultanabad from Persia.